Apple is adding a new color to the iPhone color palette and, yes, it is indeed gold. Sources in a position to know tell AllThingsD that Apple, after years of offering the iPhone in either black and white, will soon offer it in a gold tone, as well. Apple-news site iMore was first to break the news last Friday, its story corroborated in short order by TechCrunch on Sunday, along with 9to5Mac. The new color option was described to AllThingsD as an “elegant” gold tone. “Think champagne, not ingot,” a source said, confirming what seems to be some spot-on speculation from iMore last week. 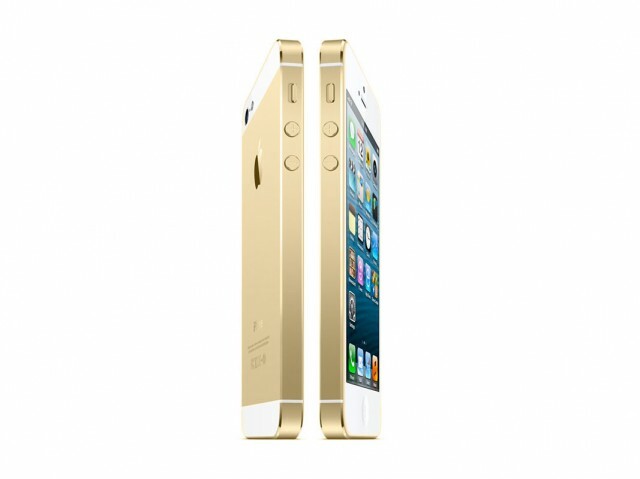 Sources said that the gold iPhone will feature a white face, with a gold-tone back plate and chamfered edging. Why the new color option now? As others have noted, gold tones are among the easiest colors to anodize, so technologically it’s an easy option to offer. It adds a bit of flash to an otherwise staid color palette that hasn’t changed in a number of years. It’s an obvious differentiator between the current iPhone 5 and whatever its successor ends up being called. The best performing segment was jewellery sales, which had more to do with savings rather than consumption. Following a sharp decline in the gold price, Chinese households’ purchase of jewellery surged 72% yoy in April, substantially faster than the 17.7% yoy in Q1. This gold rush contributed nearly 2ppt to the headline in April, up from about 1ppt in March.